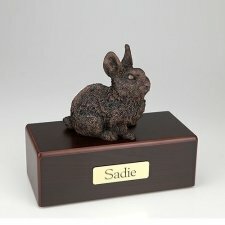 Many are not aware of what a remarkable pet a rabbit can make. 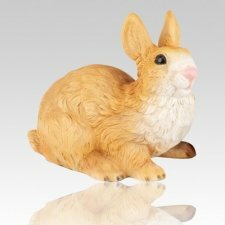 Be it because they are commonly seen scampering around fields or back roads, or perhaps they are thought of as food even, they are not always given the fair chance in when it comes to pet selection. 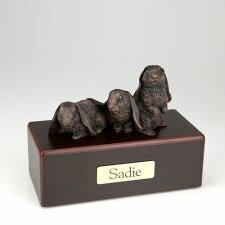 This is rapidly changing, however, and bunnies are proving to be quite intelligent and personable companions. 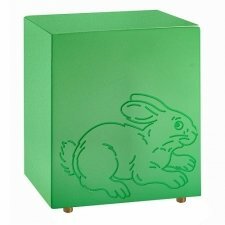 Rabbits are actually quite smart, and can be quite easy to tame. 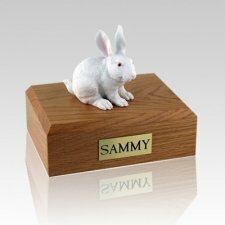 All that is needed is a little patience and careful attention and a bunny could become a truly amazing pet that is as comforting as any small dog or cat and can even live up to a decade or longer. 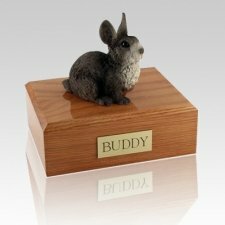 For those who have already had the pleasure of having a companion rabbit, the loss of such a personable friend is greatly felt, and the grief from losing them is incredible. 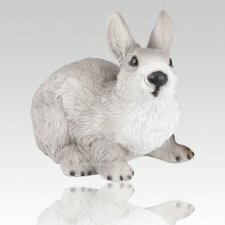 The section of Rabbit Cremation Urns offers a wonderful selection of bunny-themed vessels that are sure to bring a smile to any grieving owners face. 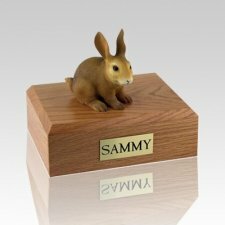 The designs range from a beautiful metal covered vase that has a bunny silhouette playfully hopping around the center, to an exquisitely sculpted, three-dimensional figurine that is mounted on a wooden urn, which serves as the base. 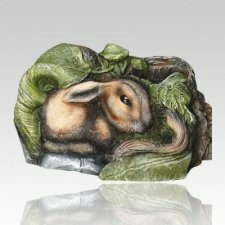 There is even a ceramic piece which depicts a whimsical scene of a bunny in its natural environment, which can be a gentle reminder that the companion is not lost, but finally free. 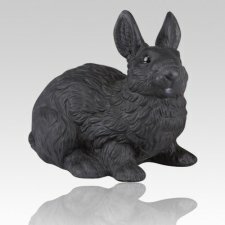 There is also a line of elegant ‘life-size’ bunny sculptures that discreetly open from the bottom, and are actually made from cast materials that are resilient to the elements. 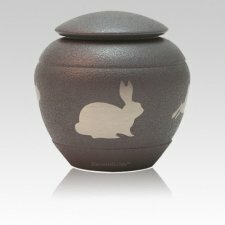 When placed in a location that is not in direct sunlight, the bunny urn could be utilized as a wonderful outdoor memorial tribute and cremation vessel. 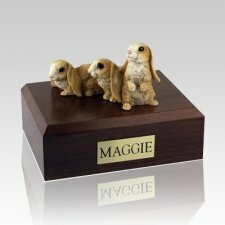 Both the figurine and life-size urns feature a selection of colors, to create a perfect remembrance of a truly loved bunny. 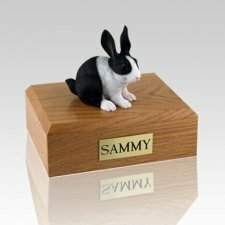 Bunny cremation urns are a fairly new addition to the constantly evolving variety of pet urns available on the market today. 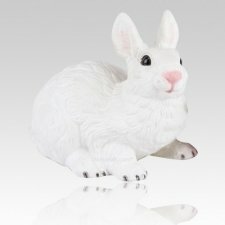 As any bunny owner can tell you, they are certainly necessary, as more and more these wonderful creatures are gaining popularity themselves. 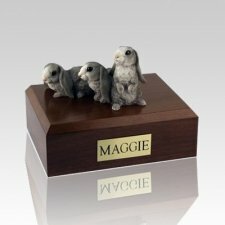 That is not to say that a bunny is an easy and quick ‘pocket pet’ as some have termed them. 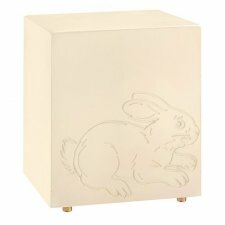 They can make excellent companions, but they require the same amount of attention and space to play as any puppy or kitten. 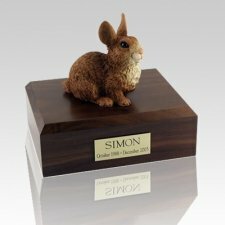 Needless to say, those who have taken the challenge find themselves greatly rewarded by the wonderful companionship a rabbit can offer. 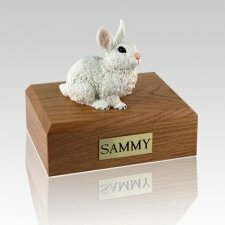 The beautiful selection of bunny urns will help create an unforgettable final remembrance of a truly remarkable pet.